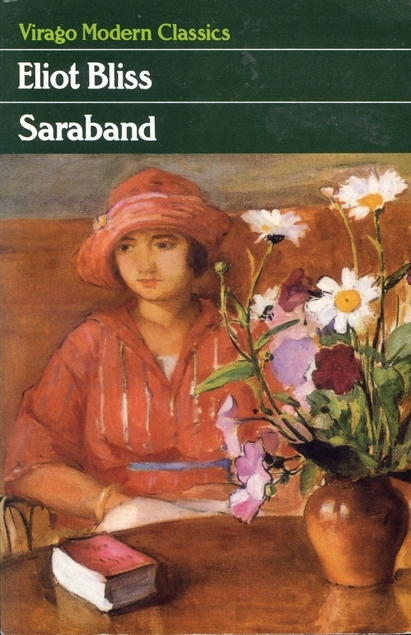 Saraband is a beautifully wrought and sensitively told coming of age story, set in early 20th century London. Louie is a quiet and imaginative child, growing up in her grandmother’s house, surrounded by aunts and uncles. She perceives her father as a distant figure, her mother as completely focused on her much younger brother, and her grandmother as the centre of her world. She loves being out in the world, and her story is scattered with her feelings about the world as the seasons change. I had to love her. And identify with her. Louie’s world changes when her cousin Tim comes to stay. She expects to hate him, because he is a boy, because he will occupy the room that was the centre of her imaginary kingdom; but she doesn’t. She is smitten with a sensitive boy who can do something quite magical. Tim can make music. Her relationship with Tim is a constant as her life changes, and it influences her other relationships. When she is sent to school she is drawn to the bold girl, who questions and breaks the rules. When she goes to secretarial college she becomes friends with a bohemian young woman who disappears long before the end of the course. This isn’t a plot-driven book; it is a book that tracks the progress of a life. Louie is often passive; reacting to drama rather that creating them. She hadn’t expected to have to earn her own living, but her father lost his life and her family lost its fortune in the Great War. Secretarial college was a sensible step, and it chimed with her idea that she might one day be a writer. The writing has a lovely clarity and lyricism as it captures Louie’s observation of the people, the places and the happenings in her life. The perspective is always hers. I understood, and I cared. I saw the influence of Dorothy Richardson – a friend of the authors – on her writing; but I found Eliot Bliss’s style to be simpler and more accessible. Louie remembered and considered things; I was particularly taken with passages late in the book where she remembered stories her grandmother had told her about her youth, as the end of grandmother’s life was drawing near. That death, and its consequences for her family, was a turning point in Louie’s life. And not long after that she found herself in a situation where she had to stand up for a friend who could not stand up for herself. That was her real coming of age. The end of this book but the beginning of a whole new story. Eliot Bliss didn’t write that story; she wrote very little else. One more known novel, one lost novel, diaries and poems over a period of fifty years. On the strength of this book, I would be happy to read them. This is a quiet book, but it is both lovely and profound. Louie’s thoughts and emotions are utterly real, her world is vividly painted, and Eliot Bliss caught and understand the nuances of her story so well. < An Invitation to Margery Sharp’s Birthday Party! Thanks for the review. Sounds like a charming book. It is. A quiet story, and very engaging. The passages you quoted a beautiful. I’m hoping to read Pilgrimage next year, inspired by you & other bloggers who have done it this year. Maybe I should ease myself in with this more accessible novel! It is an interesting – and easier – book than Pilgrimage, and interesting to compare. There are similarities and differences when comparing Miriam and Louie. Pilgrimage itself get complicated, but the earlier books are simpler than the later ones do I don’t think you’ll have too much difficulty working your way in. I hope you do, because she was definitely a wise addition to the Virago list. coincidentally I bought this book (and that very edition) only recently. It really does sound fantastic, so I think I will be moving it up the tbr. An excellent find – I’m sure you’ll be impressed with Eliot Bliss too. That interests me, Jen – I have been thinking about books whose central characters are ‘quiet’ – having just finished Rose Tremain’s The Gustav Sonata, which I very much appreciated, and is also the story of a quiet correct life, and someone who is drawn towards those whose lives are writ larger. There’s definitely something about a quiet central character – in my case it’s because I’m exactly that in my own life story, and because there are times when I pass unfamiliar people out and about and find it extraordinary that each and every one of them has their own life story. Sometimes quiet books are the best. This one sounds lovely! They are – and it is! This is something to read on a lazy quiet day! Sounds peaceful and profound. Adding it to the TBR! Wonderful Review as always Jane! What a lovely book! I like a quiet central character, too, being on really myself (people don’t think that on first meeting me, but it’s true). I wonder if the author appears in Pilgrimage at all!